Things change very fast these days, so this is only an overview. Nowadays all computers have a build-in sound card with a microphone and/or a line-in port. To connect your axe with your computer, you need a cable with a 1/8 ” (3.5 mm) male mini-plug on one side and the standard 1/4 ” (6.3 mm) plug for your axe on the other side, or alternatively your standard guitar cable with a 1/4 ” to 1/8 ” adapter. For an acoustic guitar without pickup as well as for your vocals you need a microphone. Now simply connect your guitar to the line-in port of your computer. The following software setup depends on your operating system, I’ll describe it for Windows 7/8/10, XP or Vista. Linux users usually know what to do. I don’t know much about a Mac. With a single coil pickup you may hear some noise generated by the computer and monitor, so don’t put your axe too near to it, or use a humbucker (or switch to pos. 2 or 4 of the pickup switch). Warning: don’t leave your guitar alone without turning the volume knob to zero or switching off the speakers or your amp. A loop feedback can build up and destroy sound card or speaker! Why? Pure physics – the sound from the speaker can cause the string to vibrate, this goes amplified back to the speaker causing the string to vibrate even more, which again is amplified… and so on. 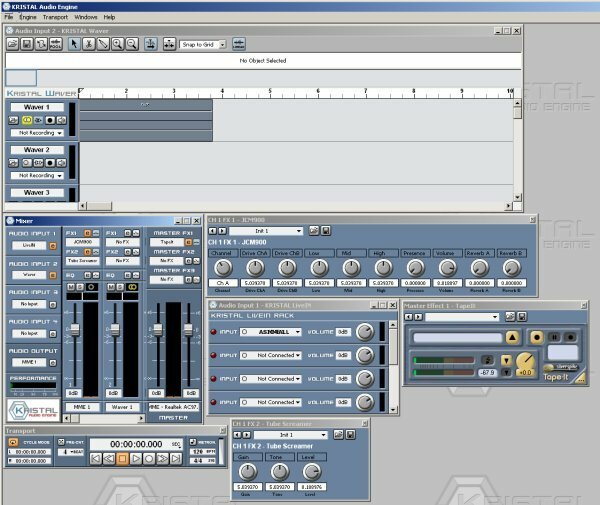 Audacity, a multi-track digital audio software. You can mix, edit, filter, import, export plus much more. Recommended. I recommend the first two programs, both are freeware and can do more than I want. You can record a rhythm track and play some lead afterwards, then simply put them together. There are also a lot of commercial software solutions available, just look for Adobe Audition (formerly Cooledit), Cakewalk Sonar, Reaper, Pro Tools, Cubase or PowerTracks. Some high-end sound cards are build for this purpose, with special software like virtual amps packed by. Usually a good external USB sound card will provide latency-free recording, much better than the build-in cards. If you have a good amp, preamp or pedal you can also connect it to the line-in of your computer. Quite simple. Groove Agent. Not free, but really good. Drumstation. 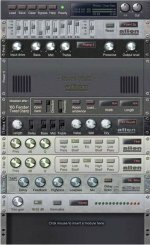 Another Freeware to emulate Roland drum synthesizers. GiveMeTac. If you just want a metronome, try it. Recording using Kristal and vst-type software amps – step by step. 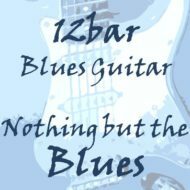 This is a short, Windows based step-by-step guide on how to use your computer as an amplifier, adding effects and record while playing. We use Kristal, an older free audio software, and a set of free VST plugins (VST: Virtual Studio Technology, a proprietary industry standard for audio effects plugins, developed by Steinberg Media Technologies GmbH). If you want to try more, look at http://http://www.kvraudio.com/. Audacity also has a VST extension (look for “VST-bridge”), but supports only a few applications and no graphic interfaces. There’s also a successor to Kristal called Studio one free. and install ASIO4ALL and Kristal Audio Engine. If your sound card has a driver which already supports ASIO then don’t install ASIO4ALL, use the driver that comes with your card. Then unzip the plugins into the plugins-folder of Kristal (or the general VST folder on your hard drive). You can keep the sub-directories. Connect your guitar to the line-in of your sound card (not the mic in!) like described above. Be aware that ASIO usually bypasses the Windows XP or 7 volume mixer, so you can’t adjust the volume that way. now you can already hear yourself playing! play with the knobs while picking! to play to a jamtrack, open the Waver on the second channel (Audio Input 2 of the mixer). MP3 is not yet supported. ASIO4ALL comes with a manual. It’s worth reading! The website has more information, too. The most critical part regarding the latency is the buffer setting – number and size. The default Windows MME driver has latency of about 750 milliseconds and can’t be adjusted, so you have a big delay. Using the ASIO driver enables you to adjust the buffer size and number of samples. Open “ASIO4ALL off-line settings”, switch to advanced and try different settings for “ASIO buffer size” and “Latency Compensation”. 512 samples at 44.1 kHz result in 512/44100 * s-1 = 11,6 ms. Be sure to highlight the application before adjusting the sliders! In most cases the default values work without problems. If you get crackles or the audio becomes distorted, the buffer size is too small. Sometimes other applications in the background can cause strange signals if they are using the audio device, too. If you have problems with an AC97 sound card (like most on-board cards), try switching the “Always Resample @44.1k” and the “Force WDM driver to 16bit” controls. For more troubleshooting, read the ASIO FAQ. Another VST host is Minihost, allowing to record. If you want to record using your amp, pedals or interfaces like the Line6 PODs (see below) you can also use Audacity. With Audacity you can play a backing track and record at the same time. Simply open the backing track, move the cursor to the point you want to start and hit record. A new track will start. If you press shift+play, you can also loop a selected region, great for practice before recording. Be sure to adjust the preferences (ctrl-p) to your needs and to include the LAME MP3 encoder. Although the build-in soundcard can do the job, an external USB interface usually gives much better results and has a lower latency. The Line 6 POD (formerly TonePort) family is great for simple and advanced home recording, especially when your sound card isn’t the best or you have an older PC. It’s a USB sound card with software amp and works nearly latency-free for only a few bucks. It also works as a usual sound card. Other brands like Roland or Tascam have similar products, often with a DAW software like Sonar LE, Cubase or others. Using software like Guitar Rig, Amplitube or POD Farm gives you two choices, either running them as stand-alone program or as vst plugin. Be sure to have ASIO enabled to avoid latency.